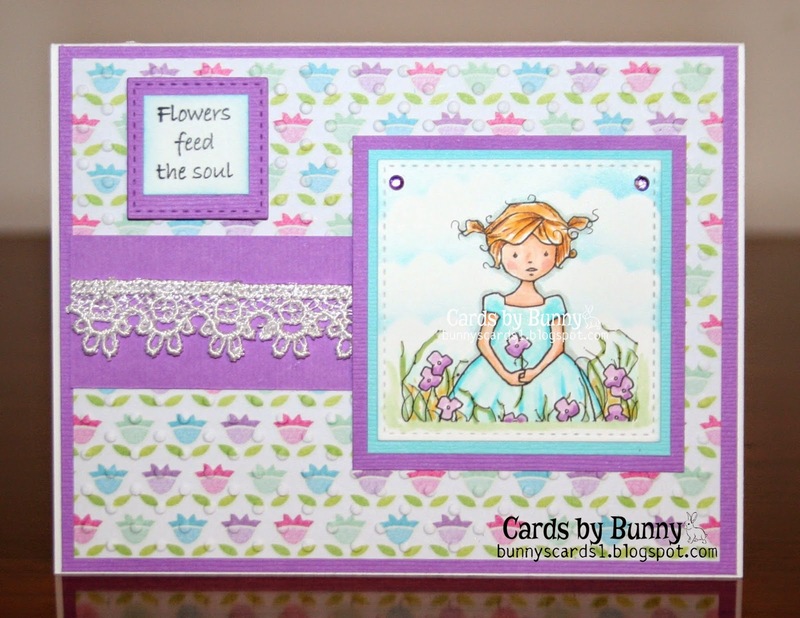 Wonderful soft, pastel colors and the lace adds to the gentle, whimsical feel of the card. Absolutely delighted you are sharing your project & creativity at 613 Ave C Bunny! Lovely card! I love the spring colors and that beautiful lace belly band! Thanks for dropping this off by our house here at 613 Avenue Create! Gorgeous card! Love how clean and bright your card is. Wonderful layout and that is a very sweet image. Perfect for our girly challenge. Mahalo for joining our Aloha Friday Challenge at Kitty Bee Designs. Good luck! This is such a pretty image and card! Thanks for joining us at Kitty Bee Designs - hope you can join us again tomorrow when our new challenge launches!